2014-09-30T09:44:59.317Z cpu22:33506)WARNING: LSOM: LSOMEventNotify:4581: VSAN device 527cfbf5-ae7a-33f6-78bc-beed2f1730dd has gone offline. 2014-09-30T09:44:59.317Z: [VsanCorrelator] 59865017530us: [vob.vsan.pdl.offline] VSAN device 527cfbf5-ae7a-33f6-78bc-beed2f1730dd has gone offline. 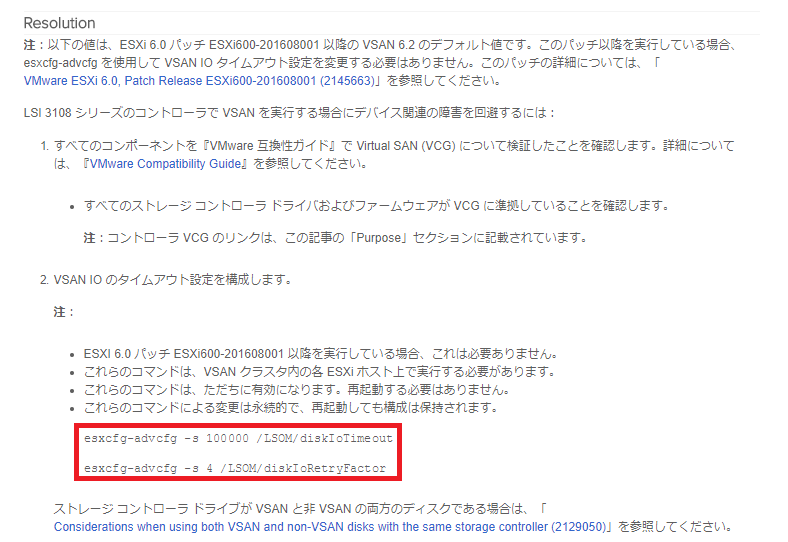 2014-09-30T09:44:59.317Z: [VsanCorrelator] 59867627549us:[esx.problem.vob.vsan.pdl.offline] VSAN device 527cfbf5-ae7a-33f6-78bc-beed2f1730dd has gone offline.